This might startle you a little as you might have seen or read about me but really don't know me in person. Well, I am Diane Abbott. 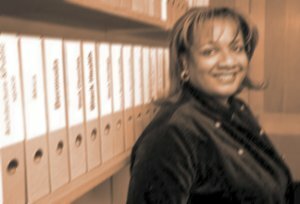 Elected to the House of Commons when I was elected in the 1987 General Election; representing the London Constituency of Hackney north and Stoke Newington, I was Britain's first Black woman MP. 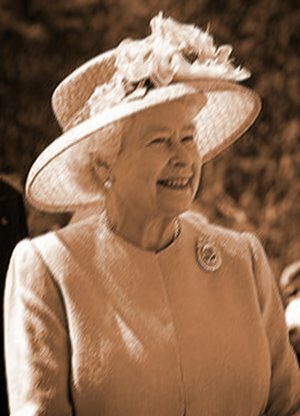 Under Her Majesty, Queen Elizabeth here in UK, served on the Treasury Select Committee of the House of Commons which is a committee that deals with business and finance matters. I got your contact info in your country's national directory. Now, kindly allow me introduce a project that has to do with charity in your country and neighboring countries around you. What is your opinion to an offer to receive charity investment funds in cash? The said funds amount to Four Million Three Hundred Thousand Great Britain Pounds (GBP) which will be made available to you, in this same state. The funds are strictly intended for the purpose of the rehabilitation of charity organizations in your country, through you but will be initiated and supervised by my lawyer. This transaction will result to you being paid a commission of 15% of the investment capital and the balance, distributed to charity organizations of your choice or reinvested and the net income, used for rehabilitating charity organization in and around your country through your agency annually for the period of five years or a little more. You must understand that I desire absolute confidentiality and professionalism in the handling of this project. For security reasons as regards my reputation, I will not be able to communicate regularly with you; but my lawyer will take up the processing on my behalf and get these funds processed and released to you without any delay. I don't plan on benefiting anything from this project, but will be absolutely fulfilled, if and only if you will remain sincere to me on the handling of this project with utmost sincerity and confidentiality; and eventually utilize the funds for the purpose which I have explained to you above. Please respond urgently if you are interested, so I can equip you with the necessary details, along side my attorney's contact information, so as to commence the transaction properly; on the other hand, if you are not, please let your intentions be known or better still, Kindly relent from replying this email. You could get personal info. on me via the Parliament sites or on my official website, but do not try to contact me via any personal information you may lay your hands upon on the internet as almost all my contact info are connected to the British House of Parliament data base except the ones I personally sent to you; as I don't want our effort, jeopardized. If you receive a version of this email, which claims to be from Diane Abbott and may mention a "charitable" or "profitable project", ignore immediately as it is not from me nor anyone connected to me. Any message you receive in my name without this email address is not from me. How are you today and I'm hoping you are doing great. I got your email in good order and I understand your skeptics towards this project which I wouldn't blame you for considering the high rate of fraudulent activities happening every where on the internet even in the names of almost every members of the British House Commons but I want you to be rest assured that this project is absolutely free from any fraudulent activities. Okay? I stated in my website that I'm aware of the fact that people could be using my names for scams to rip people off which is why I instructed in my previous email to you that you deviate from any email you receive in my name that does not have this my email address as I'm only using this email address. You could get personal info on me via the Parliament sites or on my official website, but do not try to contact me via any personal information you may lay your hands upon on the internet as almost all my contact info are connected to the British House of Parliament data base except the ones I personally sent to you; as I don't want our effort and my reputation, jeopardized. I hope you understand my position? Prior to my first mail, this will further guide you. I want you to read this carefully. There is an annual financial programme which is frequently organized by the British House of Common, under the commission of the Treasury Select Committee of the House of Commons which I'm heading. The purpose for this programme is to financially boost recognized private hospitals, Institute NGO's and organizations that engages in humanitarian services. Such organizations must be recognized by the majority members of the House of Commons. This programme is directly under my supervision as the head of the Treasury Select Committee of the British House of Parliament which I secretly enlisted you as one of the legally qualified beneficiary of the funds. Therefore, the importance of confidentiality on this project cannot be over emphasized..
Over the years, I have witnessed extreme Bureaucracy in the House of Commons/Parliament. Bureaucracy is especially prevalent in charity. For bureaucracy is one of the absurd features of 21st-century Britain . We have so many bureaucrats. The Government is shoveling money into the system, but much of it is lost by the time it gets to schools, charity organization and other sectors - £500 million has disappeared in unspent funds. It seems that some bureaucrats are now so unproductive, they can't even waste money properly. Perhaps they have been on holiday, or paternity leave, or exercising their new right to work "flextime". As befits a system run for and by bureaucrats, the allocation of funding to charity organizations/ schools is complex. First, the Treasury provides the money to the Department for International charitable project association and Education, which hands half over to local authorities. It passes on what it can spare to international education/charitable locations enlisted, before this, the local authorities deduct about a fifth for their own running costs. The other half is allocated centrally via the department and its quangos. By the time the parcels of money reaches a country like yours (that's if it eventually reaches), what was about £5,000 per an orphanage or school, has been reduced to about £2,300. In other words, if £10 is to be allocated for the upkeep of a particular orphan child, only about £4 or even less of it gets to that child at the end. I categorically state once again that I do not desire a penny from these funds. There isn't much I can do about this on my own, this is why I am specifically doing this through you due to the fact that I have a major point of interest in assisting the less privileged in your country and around the globe, but haven't been able to not until now. You have to be absolutely sincere and God fearing to be my associate on this issue. I intend utilizing my office and position to the best of my capability in ensuring the less privileged have a better frame of mind and realize they are not alone. I am soliciting for your assistance to act as the beneficiary of these funds, based on the mere fact that I cannot associate myself with the said funds. Processing and Transferring these funds to you will take approximately 10 working days, after which it will be released to you as the legal beneficiary. It is against the norms and ethics of the British Regulations for me to act as the beneficiary of the said funds as I'm still a member of the British House of Common and the head of the Treasury Select Committee under the command of her Majesty. Your level of confidentiality counts in this transaction; my lawyer will successfully secure the necessary document in your name as the beneficiary of the said funds from Her Majesty Crown Court in the Judicial Division Holden here in London . I'll like to stress on the need for you to keep this project between us. A. The Banking of the Funds. (As we are only able to transfer the funds in CASH). B. The Investment of the Fund into charitable projects by you/your agency. Now if you are able to do this, there will be a 15% commission of the Principal Fund which you will immediately deduct as soon as the funds are in your possession, and after deducting my attorneys expenses and his charges, the balance funds are to be immediately channeled into projects through you which my lawyer will supervise to ensure that the funds is utilized for the purposes such as, rehabilitating charity organizations in and around your neighboring countries. Please do note the need for professionalism and confidentiality in your approach to this matter as my reputation and office position is most important to me. I will stop here; kindly respond ASAP to my lawyer as he will be handling this transaction from this point as I will not be constantly on sit due to tight schedule of political matters I am presently handling which is usually very hectic for me and sometimes takes me out of the UK . Below is my Lawyer's info, contact him as soon as you can as I have already informed him about you. Good to read your email and I hope you are having the best of this Christmas season. Just as already explained to you previously, I sincerely understand that you might want to be skeptical about this charitable offer which I wouldn't blame you for due to the high rate of unscrupulous attitude always demonstrated by those impostors and fraudsters that have taken over the web which is quite very challenging and very difficult to even identify what is true on the web. You could get personal info. on me via the Parliament sites or on my official website, but do not try to contact me via any personal information you may lay your hands upon on the internet as almost all my contact info are connected to the British House of Parliament data base except the ones I personally sent to you; as I don't want our effort, jeopardized and my political reputation compromised. I will be leaving for a conference and seminar in Canada and Trinidad and Tobago by tomorrow after which I will be on vacation in Fiji Inland. You can contact my attorney with the info bellow as I have already informed him about you and this project. Ensure to follow every instruction of my attorney so that the transfer process of the funds can be successfully processed and transferred to you without any hurdle and to also ensure that my interest is protected. Have the best of this vacation season and wish and your family the best of this Christmas season. This is toinform you that I have just returned from Her Majesty Crown Court in the Judicial Division Holden and the Grant Affidavit of Approval document has just been issued in your name. As far as Her Majesty Crown Court and the British House of Parliament are concerned, the London Scottish Bank Plcis now indebted to you to the tune of £4,300,000.00. Find attached the original scanned copyof your Grant Affidavit of Approval (as the Hard Copy remain in the Firms safe) which clearlydeclares you as the legal beneficiary of the said funds. I must say we have achieveda great step of success on this project, as the Grant Affidavitfinally has been approved and issued in your name.I am also glad to inform you that I have eventually settled for a bank after an excessive scrutiny on their mode of operation as I found out that the London Scottish bank plc does not have transaction terms of Agreement with most banks in your country being the major bank of the Great Britain. I hope you understand me? 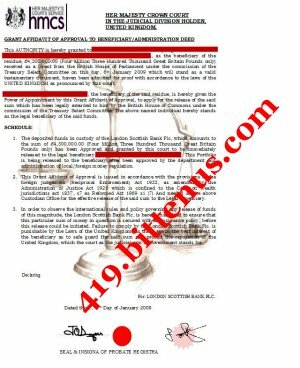 Find below thedetails ofthe affiliatebank in the Spain having the required transaction terms of agreement with the London Scottish Bank Plc. Now, I need you to conform to my advice judiciously. Contact this bank via the information provided below, informing them that you intend setting up an offshore on-line account with them. On their response, follow their instructions carefully and ensure you get this account activated immediately. As soon as I am in receipt of your account information with the bellow bank, I will immediately commence with the transfer process of your funds which should not exceed two operational days of the week after which you are to immediately commence the on-line transfer of your funds from the below bank in Spain to your home bank account. 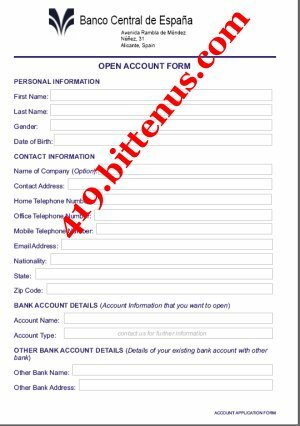 Do not delay in gettingyour account activated as the transfer of your funds from the London Scottish Bank here in the UK, to the above bank in Spain should immediately commence asthe Grant Affidavit documenthas already beenissued in your name and forwarded to the London Scottish Bank Plc. Studying yourGrant Document properly you should notice a mandatory instruction from Her Majesty Crown Court to the London Scottish Bank Plc to ensure your funds are insured before they can be transferred out of the UK like I previously explained to you. This Insurance Policy, costing £57,500 GB Pounds which half was only funded by madam and the other half will be completed by me. I hope you understand me? I have already applied for a loan to cover it which will hopefully be given to me between four to five working daysand the collateral for this loan is everything I have worked for including my home and my law firm which are my total equity line of credit. I hope you understand me? Furnish me with the details of your account as soon as it has been set up, to enable me commence the transfer process with immediate effect without any scrutiny from the British Money Regulatory Commission (BMRC) and the British Financial Authority (BFA). Be keen to oblige to my advice urgently. I'm in receipt of yourlast email and your details with your attached Identity thereof was also clearly received and well noted. Like I already explained to you in my previous email, I have just returned from Her Majesty Crown Court in the Judicial Division Holden with theinformation provided by you tosuccessfullyapply for the Grant Affidavit of Approval Document in your name which will qualify you as the legal beneficiary of the said funds. Now, note that the bank that will be initiating the release and transfer of the funds to you as soon as the Grant Affidavit of Approval is issued in your name, will be the London Scottish Bank Plc.as the funds will be coming from the treasury account of the British House of Parliament. I hope you understand me? As the case may be, we have to make use of a bank affiliated to the London Scottish Bank Plc outside the UK to prevent the Bureaucratic scrutiny of British money regulatory Commission (BMRC) and the British Financial Authority (BFA),on our transfer/project. This is due to the policy on huge amount of fundsleaving the country. Shouldwe decide to transfer these funds directly to your bank account,these funds will have to pass through the inspection of this Money regulatory body, which is responsible for setting overall financial policies and coordinating the implementation of the monetary laws of over 5,000 GB Pounds leaving the shores of the Great Britain. This could very well implicate the original initiator of this project, my client, â€œMs. Diane Abbott. Further more, they will also use the veto of the constitution invested on them by the central government to confiscate these funds and pay them to the Government treasury, under Cap 405 and Cap 455 since the implementation of the two Ordinances. In order to avoid this hindrance, we have to make use of an offshore transit bank account with an affiliated bank that has transaction terms of agreement with the London Scottish bank Plc outside the UK to enable the smooth and successful transfer of these funds out of the UK without any scrutiny from the British money regulatory Commission (BMRC) and the British Financial Authority (BFA)like I stated above. I hope you understand me? The insurance policy of your funds has been covered by Ms. Diane Abbott. She instructed me to complete the paper works before her departure from the UK on some Political matters and vacation. These funds will be transferred to your created account (with the affiliate bank) in approximately two operational days after you have set it up to enable you commence transfers on-line to your home Bank account and commence with the project as directed by Ms. Diane Abbott. I am fully optimistic the content of this message is well understood by you? As of now, I am currently carrying out thorough scrutiny on the mode of operation of the bank options I have at my disposal; once I am done, I will select one that sooths the best interest of this project and send their details to you to enable you set up an account with them in your name which will enable the successful transfer of these funds without any delay or obstacle. I hope you understand me? I will be with youin a couple of monthsafter the funds arrive your home account as Ms. Diane Abbott has instructed me to carry out a routine check and inspect your operations time after time. You are to deduct your 15% as soon as the funds are in your possession but you will immediately transfer my own 5% of the total funds to me as soon as the funds get to your home bank account with every other expenses I might incur over here after which, it is up to you to utilize the funds in the best way possible as directed by Ms. Diane Abbott. I hope you understand me? RE: IMPORTANT ACCOUNT OPENING INFORMATIONS. In reference to your account opening inquiry we hereby notify you that you can apply for your new account by giving us the required information's stated below. Please note that your application would take a minimum of 24 banking hours to be up-loaded into our data-base here, hence the new account will not be operational until the receipt of an initial opening deposit. You would be required to make an initial opening deposit based on the type of account you wish to hold with us, this deposit will be credited into your new account and it can be withdrawn at anytime. 1.. Regular Account, the initial deposit is €850.00 (Eight Hundred and Fifty Euros). The Maximum transfer possible within a month is €1,500.000.00 (One Million Five Hundred Thousand Euros). 2. Daily Account, the initial deposit is €1,000.00 (One Thousand Euros). The Maximum transfer possible within a month is €5,000,000.00 (Five Million Euros). 3. Premium Account, the initial deposit is €2,500.00 (Two Thousand, Five Hundred Euros). The transfer possible within a month from this account is €7,500,000.00 (Seven Million Five Hundred Thousand Euros). 4. Platinum Account, the initial deposit is 4,500.00 (Four Thousand, Five Hundred Euros), the maximum transfer possible from this account within a month is Unlimited. With this accounts you can apply for a gold membership credit card after a good business relationship of three months minimum. Following your application this information's must be send to us immediately before your account process can be complete. 1). Applicants must have the initial deposit to activate the type of account that he/she desires to operate and activation must be paid not later than Five working days after applying, otherwise the application will be turned down. 2). Applicants must send to this office, a valid identification number that can be verified. 3). Applicants must fill out the attached offshore account opening form and send to us via email attachment with a copy of your valid identification document (International Passport or Drivers License). For the account to be activated immediately you are required to transfer the initial opening deposit which will be credited into the new account, this initial opening deposit activates the account before you can make any transaction in or out of your new account. Notify us on when payment would be made, to enable us furnish you with the payment modalities. Should you have any questions, do not hesitate to ask us; we look forward to your prompt response do also note that our main priority is customers satisfaction guaranteed. Thank you for communicating with BANCO CENTRAL DE ESPANA; where all financial capabilities are made possible. Thank you for communicating with us.